This requires a more conciliatory approach to security, especially where military tasks include the protection of populations. 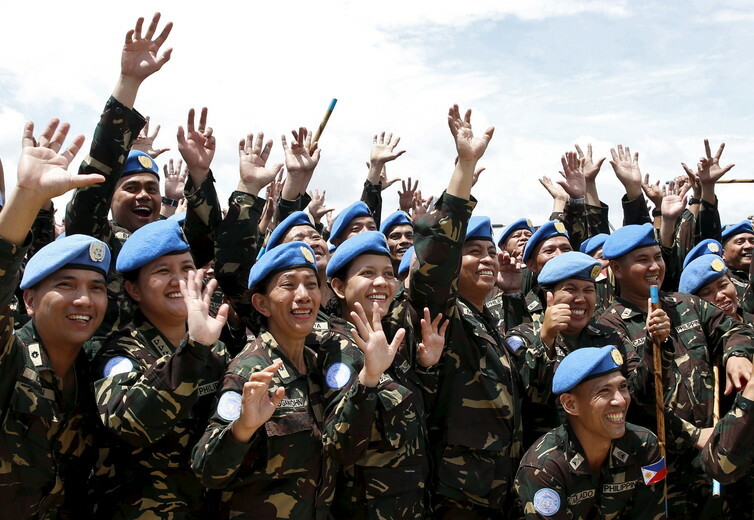 This has led to demands to increase the number of women in peacekeeping operations. These are based on claims that women are more able to interact with the local population, enhance the access of local women to services, improve community relations, reduce the incidence of sexual and gender-based violence, build the capacity of local women, and break down traditional views that discriminate and marginalise women. In so doing, they typically need to suppress feminine traits like being compassionate, sensitive, softhearted, conciliatory and peace-loving. Such traits are neither valued, nor promoted in the military. They run counter to masculine traits embodied in military culture, such as dominance, aggression and toughness. Such militarised masculinities are highly functional in an organisation whose raison d’être is combat.